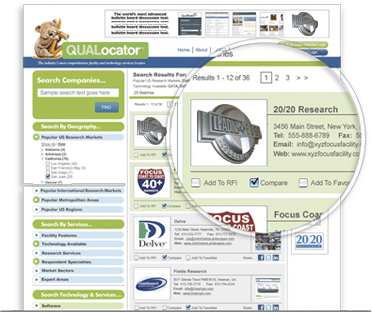 QUALocator assists research professionals and clients in locating and comparing marketing and fieldwork facilities and technology providers for market research projects utilizing our proprietary print, online and mobile platform. 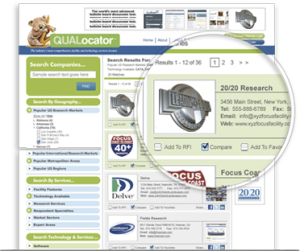 QUALocator is destined to become your customers’ go-to directory. 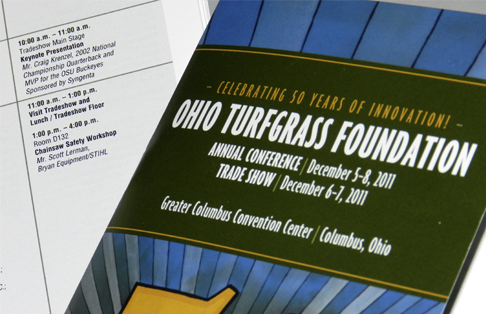 You simply cannot afford to not be here – you can bet your competitors will be. 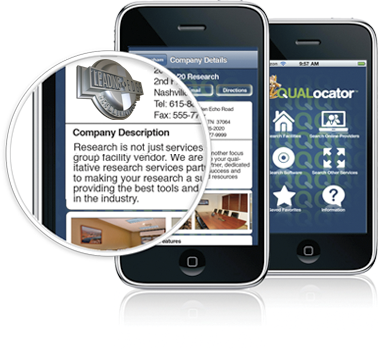 Experienced, independent research consultants throughout the qualitative industry. 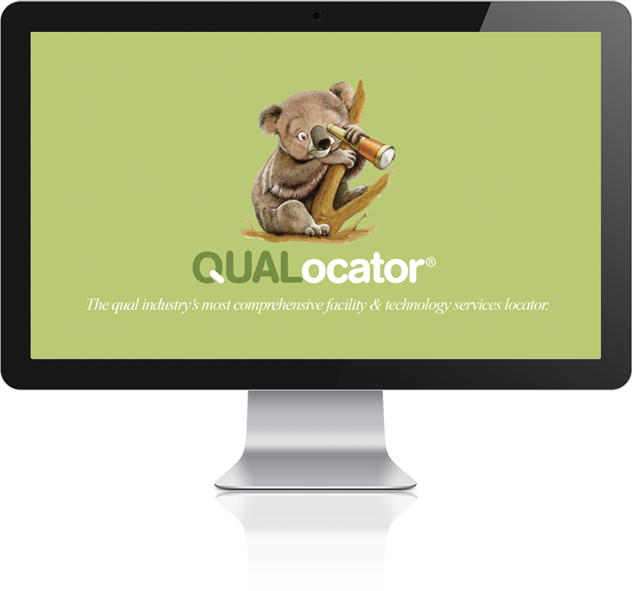 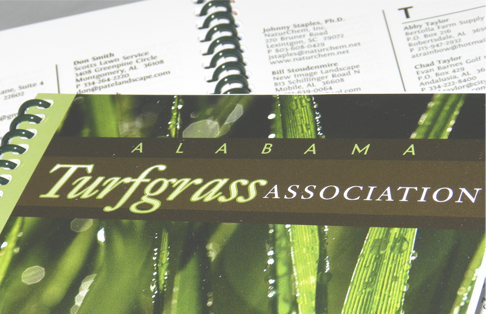 Get found with the ENHANCED QUALocator® Facilities & Technology Services Directory Online Edition! 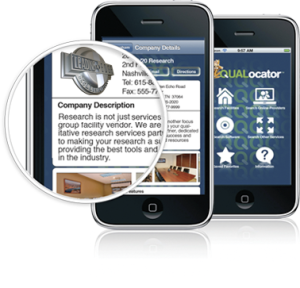 Search By Geography, Specialties, Etc. 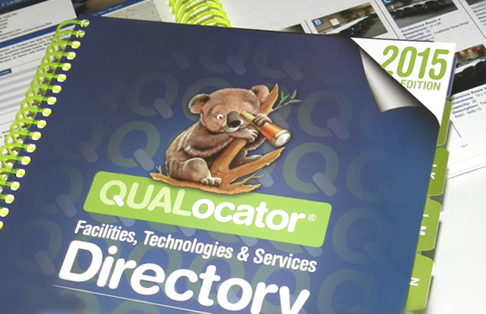 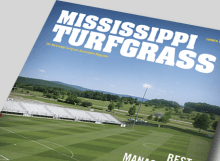 Get found with the ENHANCED QUALocator® Facilities & Technology Services Directory Mobile Edition!